It's time for Ontario to liberate local beer. It makes no sense to persist in enabling big beer to have an unfair advantage over our homegrown craft breweries. Imagine a law that restricted General Motors to selling cars at their production site and through Toyota dealerships. Oh, and they could sell a limited number of models at the government owned mega car dealership. Sounds ridiculous. But that is the reality for Ontario's 150-plus microbreweries, brew pubs, and small contract brewers. 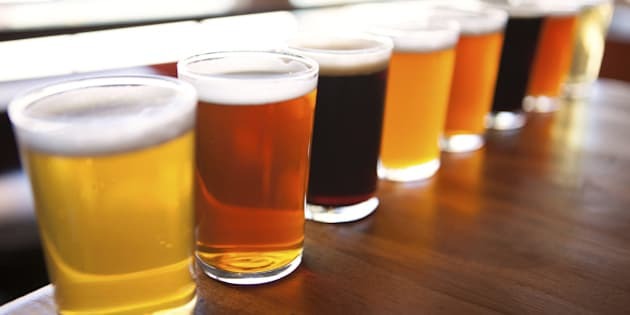 By law, Ontario's craft brewers can only sell over the counter at the brewery itself, through the Beer Store, which controls around 80 per cent of the retail market, or the LCBO, which controls the other 20 per cent. Ed Clark, head of the Liberal's expert panel on public assets, missed the mark in his comments on alcohol sales last week. He's urging the government to "take on vested interests" by charging the Beer Store higher fees to maintain their near monopoly. Although he recognizes the challenges facing Ontario's craft brewers, he is less clear on opening the market for local beer. Why should "the big three" -- Molson-Coors, AB InBev and Sapporo -- receive privileged market access at the expense of our homegrown brewers? The Beer Store needs a shake up more than a shake down. My advice to Mr. Clark and the Premier: allow Ontario's local brewers to open Craft Beer Stores. Think Wine Rack, which sell wine in standalone retail stores and through outlets in other retail locations. It's a small step, a compromise that won't satisfy those who want privatization and corner store sales or those who want to protect big beer's privileged status. But it could pay big dividends for your local brewer and your local economy. The demand for craft beer is exploding in North America. In British Columbia, where craft brewers face fewer restrictions, their market share is pushing past 20 per cent. In craft-crazy Portland, Oregon, it's nearing 50 per cent. Local beer has only three per cent market share in Ontario. Not only do craft brewers have to sell through their big beer competitors, they also have to pay listing fees that can be cost prohibitive for many small businesses. When Barrie-based Flying Monkeys recently launched their El Toro Bravo Dark Rye Ale in the Beer Store, the cost to do so was around $25,000: a one-time base listing fee of $2,880, plus a one-time fee of $230 per store on the first 233 stores selected and a 16 cents per 341ml bottle retail service fee. This is some serious coin for a small player. These fees make listing innovative seasonal beers cost prohibitive and pushes brewers to prioritize quantity over quality. I'm not out to trash the Beer Store. They have a good environmental record with a bottle return system that should be replicated in other retail sectors. Big beer, however, should do themselves and all of us a favour by supporting legislative changes that will liberate local beer.